When you moved to San Jose, did you choose a nice, quiet neighborhood to start your life? Your neighbors were the perfect distance for privacy, but you could still socialize and maintain a good neighbor status…now suddenly your neighborhood is much more developed, and you have homes all around your residential property. Now your privacy is not where you would like it to be, and neither is your security. San Jose Fence Builders has the perfect solution for you! 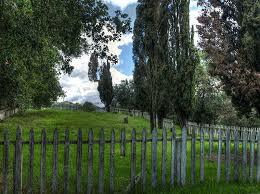 San Jose Fence Builders offers a wide variety of expert fence services to San Jose, CA. Our expert fence services include: fence installation, fence repair, gate installation, gate repair, pool fence installation, pool fence repair, sports facility fence installation, and sports facility fence repair. By offering such a variety of expert fencing services, we can also offer a selection of high quality fence materials and a selection of fence styles. One of our most popular fence types, is a privacy fence. What about a fence makes it a privacy fence? Technically, a privacy fence can be any kind of fence! It all depends on the amount of privacy and security that you are looking for. 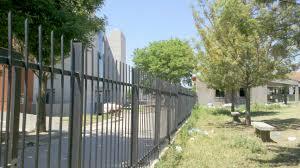 What we mean by privacy fence, is a fence that provides you with the highest amount of privacy and security possible. Simply put, no one will be able to climb into or out of your yard, or be able to see in or out of your yard with a privacy fence. Privacy fences are built for privacy. San Jose Fence Builders offers a variety of privacy fences that includes high quality fence materials so that your future privacy fence will meet all of your fencing needs. The most popular privacy fence material is the vinyl privacy fence, with a wooden privacy fence falling closely behind. Vinyl privacy fences typically encompass the entirety of your property. For homes this usually means the backyard, and for business this means the entirety of the commercial property. A vinyl privacy fence is perfect for any home or business because it offers a sleek and classic look that always accents your home or business perfectly. The wooden privacy fences are not common for commercial properties, but you can see them around residential properties. Wood privacy fences are a cost friendly for our customers, but still offers optimum privacy and security for your home. There is no need to worry about the quality of your wooden privacy fence from San Jose Fence Builders. We use only the highest quality of wood that is treated so it will last its lifetime. We offer a few different selections of wood for our wooden privacy fences, such as cedar, spruce, and pine. The solution we use to treat our wooden fences will help the wood last as long as possible. Even if your wooden fence starts to exhibit damage, San Jose Fence Builders will come out to fix your wooden fence based on the terms that were outlined in your fence contract.